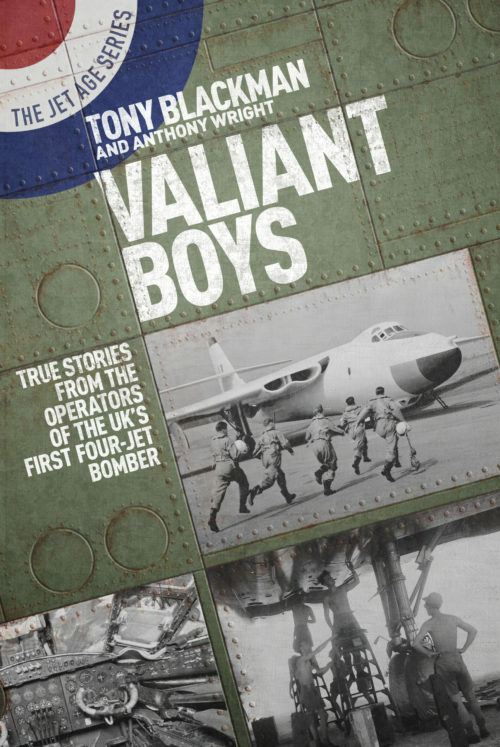 Valiant Boys is a fascinating collection of personal accounts of operating Britain’s first V bomber by aircrew and ground crew. The book tells the story from the aircraft’s birth taking off from Vickers’ tiny airfield at Wisley to its premature death from fatigue. There are tales of testing atom bombs in the Australian desert, dropping hydrogen bombs in the middle of the Pacific and, as a complete contrast, attacking airfields with conventional bombs in Egypt during the very brief and abortive Suez campaign. We are reminded of how the Valiant provided the UK’s first nuclear deterrent by always having some armed aircraft on stand-by twenty-four hours a day, supported by their air and ground crews, ready to be flown at a moment’s notice on a one-way trip to launch an atomic war. Not as well known as the Vulcan and Victor, the Valiant is often overlooked; this book will go a long way to redress the balance. The Handley Page Victor was the third of the three V Bombers and the longest lasting, serving in the RAF until 1993, and still doing invaluable service in the first Iraq war. Moreover, in 1982 it was only the Victor tanker fleet based on Ascension Island that made possible the Vulcan Black Buck bombing of Port Stanley airfield and the long-range reconnaissance of Argentina by Nimrods. 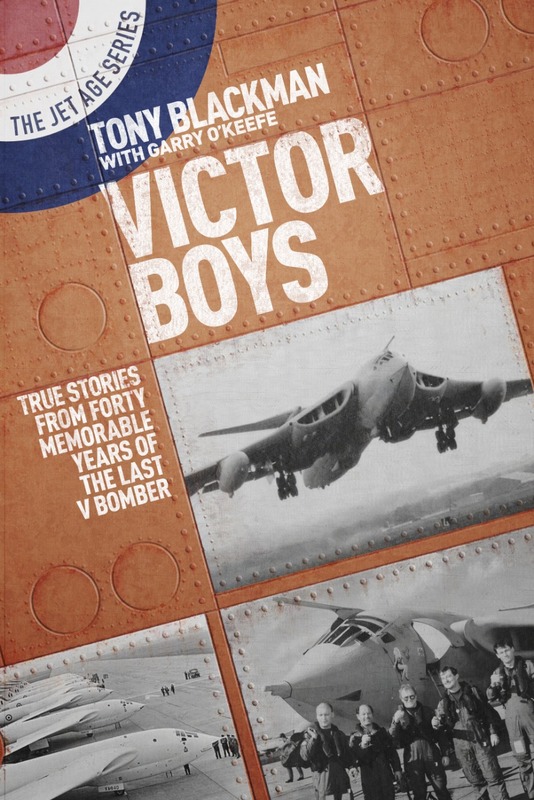 Victor Boys tells the story of all the great things that were achieved, recounted first hand by the operators themselves, aircrew and ground crew. Starting with accounts by test pilot Johnny Allam, who undertook the major development of the aircraft, through its work as a nuclear bomber during the cold war, testing Blue Steel in Australia, to its superb performance during the Falklands war and later as a first class air-to-air refuelling tanker and vital support tool for fighters and other aircraft. 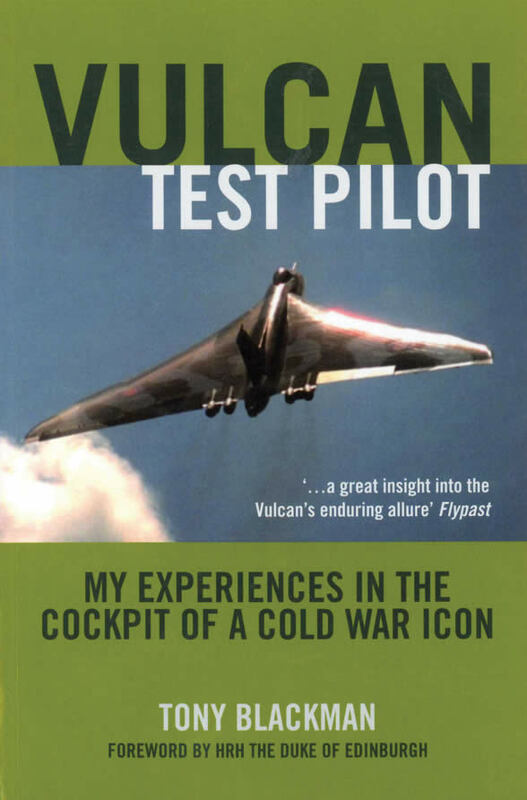 The stories are collated and set in context by Tony Blackman, ex-chief test pilot of Avros who helped develop the Vulcan and initiated the development of the Victor K2 tanker. For him, initially, the Victor seemed a competitor but he now readily admits what a wonderful aircraft the Victor became. The Vulcan, the second of the three V bombers built to guard the UK during the Cold War, has become an aviation icon like the Spitfire, its delta shape instantly recognisable as is the howling noise it makes when the engines are opened for take-off. 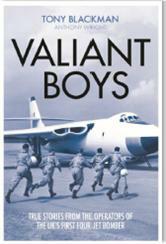 Vulcan Boys is the first Vulcan book recounted completely first hand by the operators themselves. It tells the story of the aircraft from its design conception through the Cold War when it played out its most important job as Britains nuclear deterrent; before unbelievably, at the end of its service life, also playing a significant role, with its bombs and missiles, in liberating the Falkland Islands for which it gained much celebrity. The individual accounts detail how hours at a time were spent on readiness, waiting to be scrambled to defend their country in the event of a third world war. In addition how their aggressive skills were honed by carrying out Lone Ranger sorties flying to the States and westward around the world, and taking part in Giant Voice and Red Flag, competitive exercises against the United States Strategic Air Command. The attacks in the Falklands using Shrike missiles are described accurately and in great detail for the first time including the landing at Rio de Janeiro alongside a vivid account of Black Buck 2. Vulcan Boys is a fascinating and completely authentic read reminding us of the Cold War, how it was fought and the considerable effort required to prevent all-out nuclear war. The V Force consisted of three four-jet bombers, the Valiant, the Vulcan and the Victor, all required as part of the nuclear deterrent in the Cold War following the end of the Second World War. The Valiant was less aerodynamically advanced than the other two and went into service in 1955. The Vulcan entered service in 1956 and the Victor a year later. The Valiant finished operating in 1965 and the Vulcan in 1984. 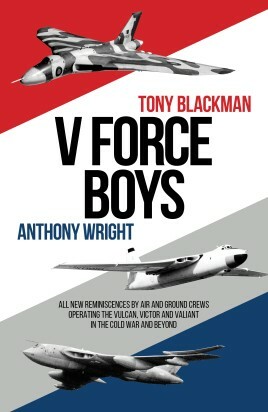 The later Victors were converted into refuelling tankers and carried on until 1993.V Force Boys contains a fascinating collection of previously unpublished stories by V Force ground and aircrew for all three V bombers. Among other highlights, the book includes a first-hand account of dropping the last UK H Bomb, a description of how all the aircraft navigated before the days of GPS, the training the crews received and an armourer's account of how the nuclear weapons were moved with complete safety but not in the regimented way that might be expected. 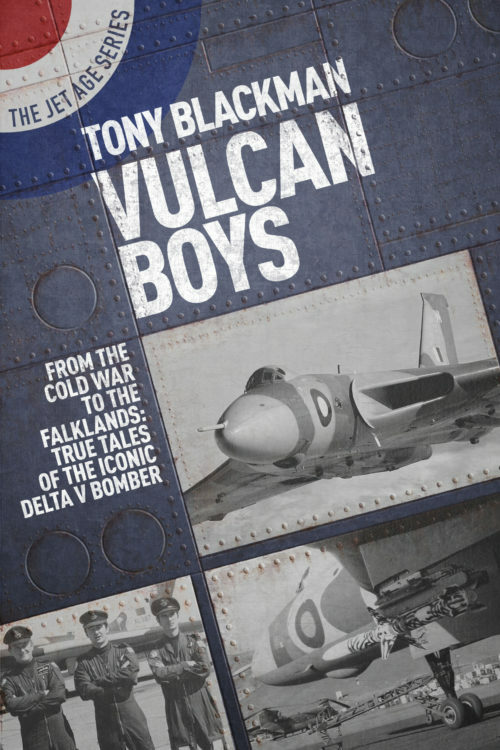 In addition there are chapters which tell of incidents that would not be found in the RAF historical annals but show how the vigilant guarding of the UK had its lighter moments.A must for all Vulcan, Victor and Valiant enthusiasts. The Vulcan, the second of the three V bombers built to guard the UK during the Cold War, has become an aviation icon like the Spitfire, its delta shape instantly recognisable as is the howling noise it makes when the engines are opened for take-off. The individual accounts detail how hours at a time were spent on readiness, waiting to be scrambled to defend their country in the event of a third world war. In addition how their aggressive skills were honed by carrying out Lone Ranger sorties flying to the States and westward around the world, and taking part in Giant Voice and Red Flag, competitive exercises against the United States Strategic Air Command. The attacks in the Falklands using Shrike missiles are described accurately and in great detail for the first time including the landing at Rio de Janeiro alongside a vivid account of Black Buck 2. 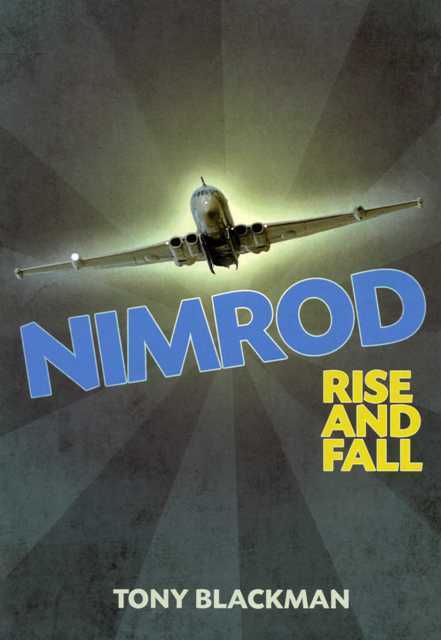 The scrapping of the Nimrod programme has been one of the most controversial events in the military aviation world for many a year. For most of its operational life, from 1969 to date, its contribution to the defence of the realm and its role in offensive duties was, of necessity, often shrouded in secrecy. It was the ‘eye in the sky’ which was absolutely vital to a host of activities – from anti-submarine and anti-surface warfare, to support of land battles throughout the world, to the Falklands campaign, to combating drug-running, the Nimrod’s unsung role was paramount. And now the UK is bereft of such a multi-tasking reconnaissance aircraft. In 2007, a restored Avro Vulcan Mark 2 - XH558 - took to the skies to help commemorate the 25th anniversary of the Falklands conflict. 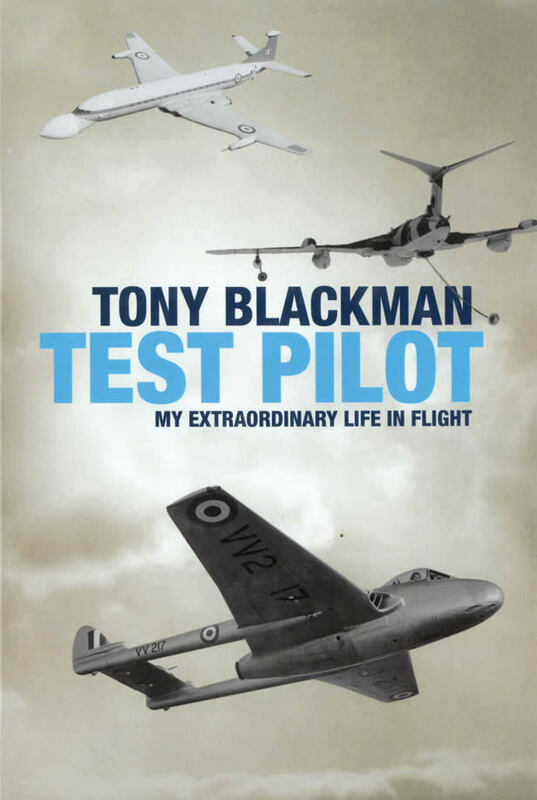 To coincide with this the memoirs of one of its test pilots, Tony Blackman, was published to great acclaim. Now the first book about test flying this monumental delta-wing aircraft which dominated the history of the late 20th century is available in paperback. Tony is the ideal man to write such a tale as he flew no less than 105 of the 136 built, logging 850 flights at over 1,327 hours. His book describes in layman's terms what it was like to tame the first prototypes and to master the unusual characteristics necessitated by the Vulcan's shape. Although Tony puts the developments, demonstrations, incidents and accidents in their political and historical context, his story is a highly personal one. He explains how this awesome aircraft became a national treasure and captured the imagination of the whole country.